When you need relief on hard-to-reach sore spots on your body, reach for the Body Back Buddy. 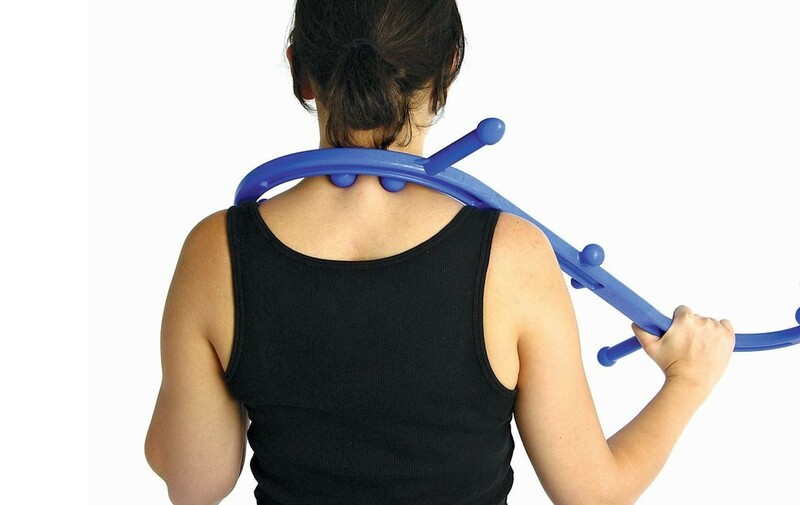 This self-massage tool is lightweight, strong, and easy to use. It comes with a free 12-page instruction booklet. The Body Back Buddy will feel like a true friend when you use it to soothe hard-to-reach and not-so-hard to reach sore spots on your body. Its ingenious design reflects years of research and consultation from massage therapists, chiropractors, and physical therapists. 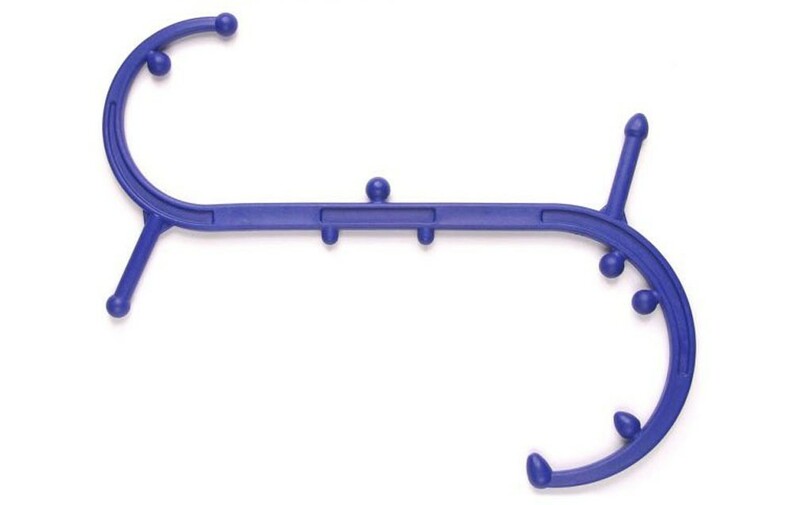 The Body Back Buddy has 11 therapy massage knobs that, with proper leveraging techniques, easily work out muscle knots and trigger points for a finely-tuned self-massage session. 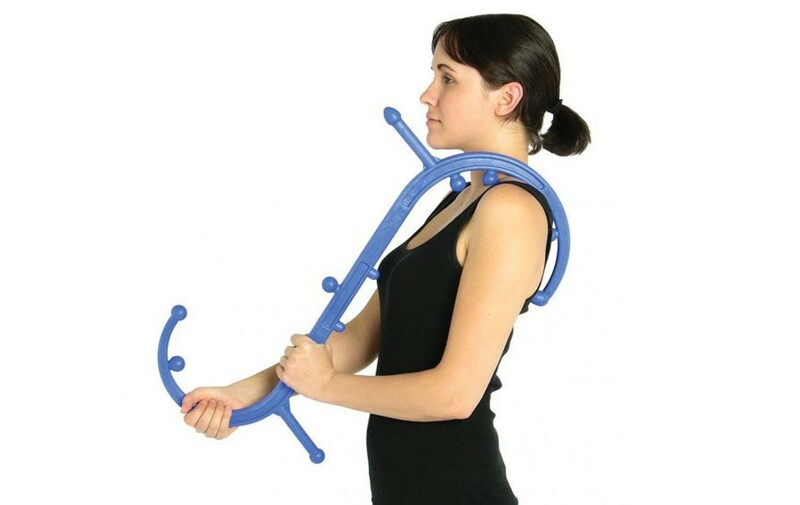 The Body Back is lightweight, strong, and easy to use. It comes with a free 12-page instruction booklet. 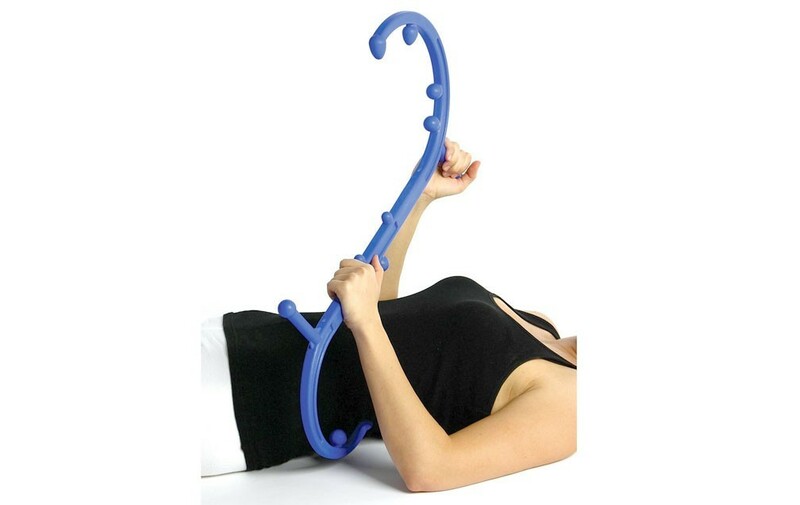 Hook the Body Back Buddy massage tool over your shoulder or around your side to treat hard-to-reach areas of the back, neck and shoulders. Hold it comfortably by the handles or the frame so that the therapy knobs come in direct contact with the affected muscles. Push away from your body with your lower or outside hand while guiding the therapy knob with the upper or inside hand. This leveraging technique creates self-directed pressure to the targeted muscles. 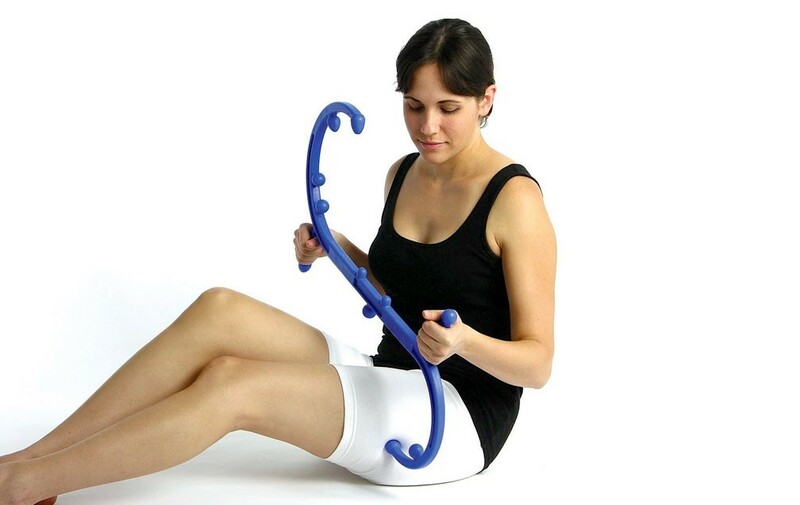 You can also use the Body Back Buddy to apply healing pressure to many other parts of the body such as your legs, arms, feet, chest and hips. Its versatility allows you to approach each muscle from many angles in different, creative ways. Since there are hundreds of ways to use the Body Back Buddy, take a moment to experiment and find out what works best for you. You can use The Body Back while standing, sitting, lying down, or with a partner. Simply place the therapy knob on the sore muscle or trigger point and apply what you consider to be a comfortable amount of pressure. When this muscle compression is released it stimulates a therapeutic response. Pressure preferences vary from one person to another. Only apply as much pressure as you feel comfortable with. More pressure is not necessarily better! Ten to thirty seconds is normally enough time to elicit a therapeutic response in the muscle.